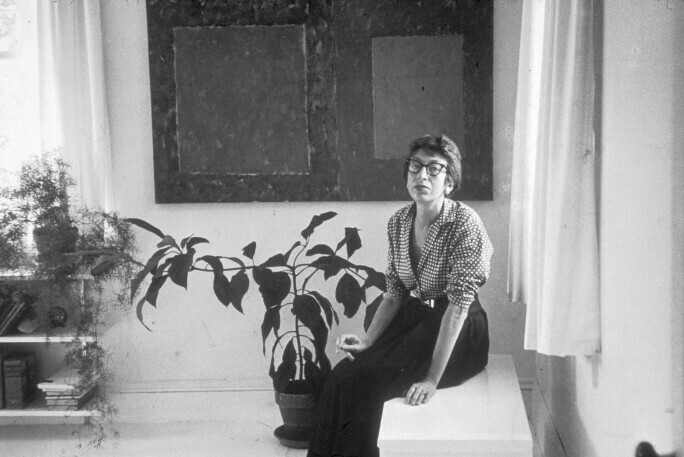 Lee Krasner’s work was constantly in flux. A forthcoming retrospective at the Barbican Centre in London shows how she recycled former projects and overcame personal tragedy to create groundbreaking new work. 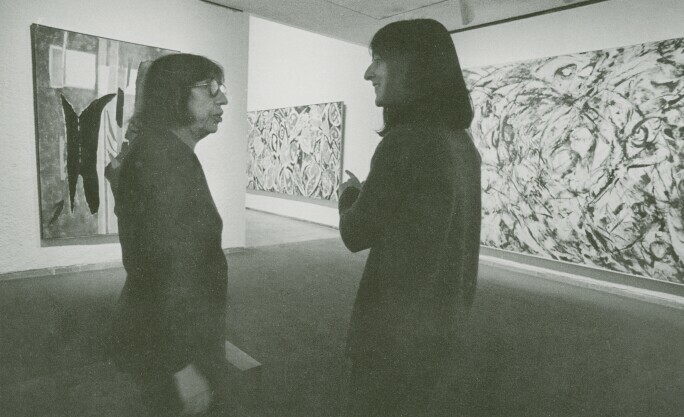 I n 1976, while cleaning out her studio, the painter Lee Krasner discovered some charcoal drawings she had made as a student 40 years earlier. By this time, Krasner had already created many of the works that would define her as one of the great Abstract Expressionists, alongside Willem de Kooning and Franz Kline. The drawings she found were figurative – mostly nudes created from life. After putting a few of them aside, she cut the rest up, carving them into strips until they were barely recognisable. Lee Krasner at her home in East Hampton, New York, in 1953. PHOTO: TONY VACCARO/HULTON ARCHIVE/GETTY IMAGES. This process was not a new one for Krasner. She had been willfully destroying and recycling her art for decades, which is one of the reasons her surviving body of work is relatively small. 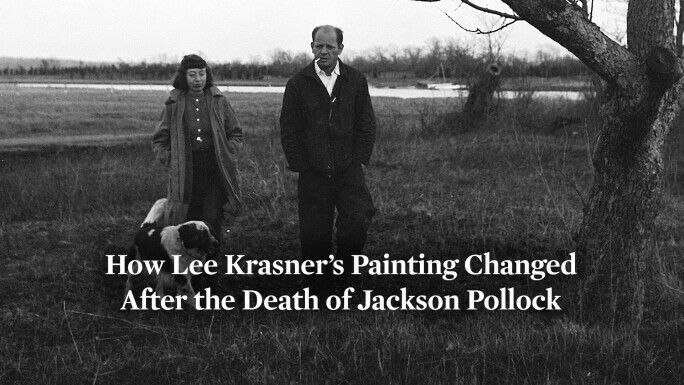 Krasner’s destructive impulse was driven in part by her refusal to be known for a signature style, putting her in opposition to other painters from the New York School, an informal group of artists who had pioneered the Abstract Expressionist movement and which included Krasner and her husband, Jackson Pollock. 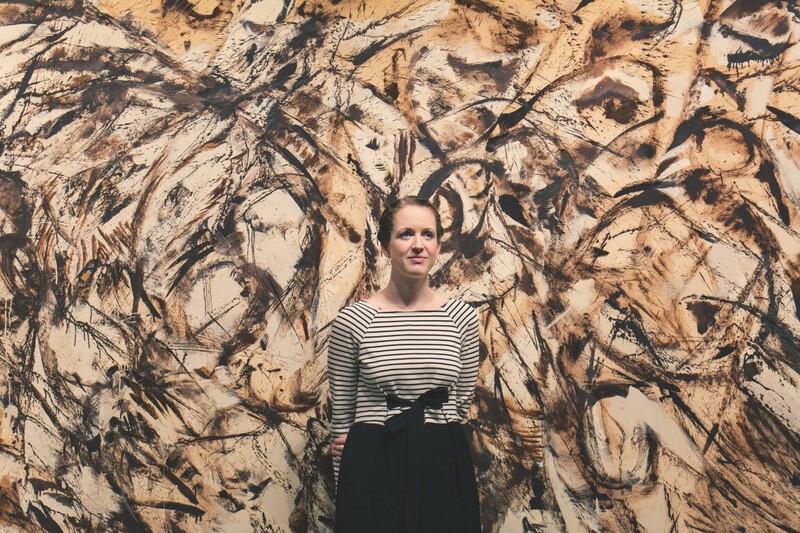 Eleanor Nairne, curator of Lee Krasner: Living Colour at the Barbican, London, in front of The Eye is the First Circle, 1960, a monumental work from Krasner’s Umber series in Sotheby's Contemporary Art Evening auction on 16 May in New York. Joe Townend is a writer and editor based in London. Lee Krasner: Living Colour, Barbican, London, 30 May–1 September. Sotheby’s is proud to be a sponsor of this exhibition. Contemporary Art Evening will be on view in New York from 3–16 May. Auction: 16 May.